The Jabra Biz 2400 II is a premium performance contact center headset, delivering crystal clear conversations for closer connections with your caller. Find the perfect fit with a range of light, ergonomically designed frames, larger*, soft leatherette ear cushions, adjustable headbands and microphone boom. Your headset will be comfortable all day long. *Larger ear cushions come as standard on Duo versions and are available as an accessory for Mono versions. The larger ear cushions are only suitable for the headband version of the Biz 2400 II and not for other wearing styles like neckband. It is not possible to combine QD (QuickDisconnect) with any other connection type for the Jabra Biz 2400ii. 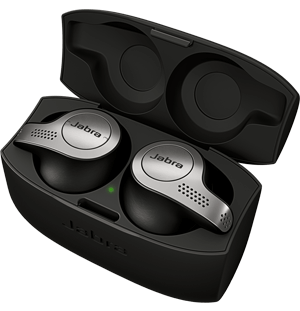 If you need a headset that connects to your desk phone at the same time as your PC or mobile, we recommend the Jabra Pro 9400. 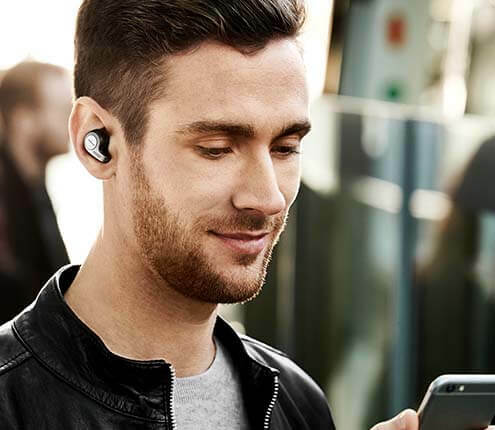 It can connect to multiple phones at the same time, is wireless and also comes a great noise cancelling microphone. Noise-cancelling microphones reduce background noise and are ideal in crowded and noisy open working environments. Reinforced cords are built to last. They are extremely durable and will take most daily punishment. With Freespin you can rotate the boom arm 360 degrees without the risk of breaking. This product requires a QD cable. Find the right cable for your desktphone in our Compatibility Guide.